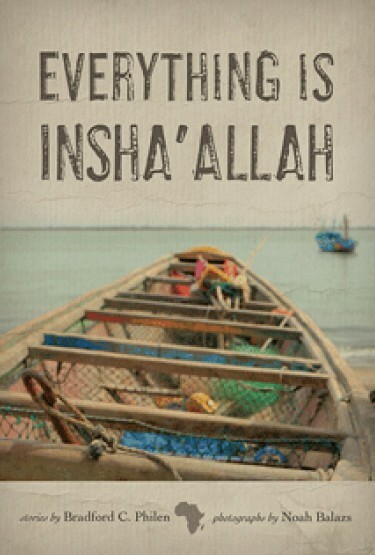 Everything is Insha’Allah travels across the mighty Atlantic Ocean to West Africa. These ten captivating and compelling stories, all but one set in Senegal, share tales of family, love, longing, struggle, patience, peace and empathy. In “Stranger in the Village,” a toubab visits a hip-hop loving barber in Ngor village and soaks in the scenes of a foreign world. In “The Bigger Bite,” two law students debate true justice. In “Here and There,” a boy goes missing and the neighborhood unites to find him. The young protagonist in “Maryam”searches for meaning and forgiveness in the early morning hours of each day, and in “The Rain, the Boy, and the Lion,” Gorgui realizes his son has magical powers. Noah Balazs’ striking and visceral photography brings these ten stories to life and offers a glimpse of the day-to-day in Senegal. Written in rich and poignant prose, Bradford Philen’s second work of fiction observes and admires the people, places and diverse cultures of West Africa.